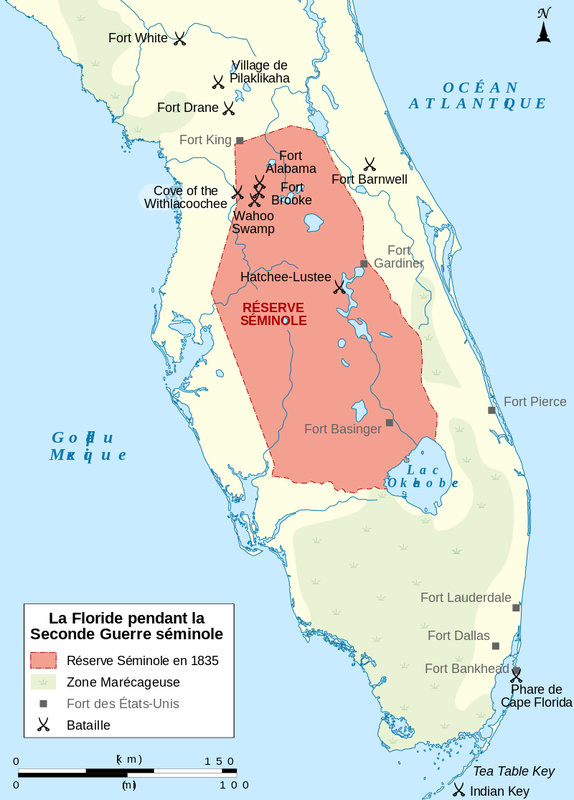 The Seminole Wars, were three conflicts between the United States and Seminole Indians of Florida in the period prior to the American Civil War, which ultimately resulted in the opening of the Seminole's desirable land for exploitation by whites. The first Seminole War (1817-1818) began with attempts by the US authorities to recapture escaped black slaves living among the Seminole Bands. Under the command of General Andrew Jackson, US military forces invaded the area, scattering villagers, burning down their towns and seizing Pensacola and St. Marks, Spanish property. As a result, in 1819 Spain was forced to cede its territory to Florida under the terms of the Transcontinental Treaty. 1,500 Creek fight alongside the US Army during this war. The Second Seminole War (1835-1842) followed most Seminoles' refusal to abandon the reserve that had been specifically established for them north of Lake Okeechobee and relocate west of the Mississippi River. Whites coveted these lands and sought to oust Seminoles under the Indian Removal Act. Led by their dynamic leader Osceola, Seminole warriors hid their families in the Everglades and fought vigorously to defend their homeland, using guerrilla tactics. Up to 2,000 US soldiers were killed in this long fight. Only after the capture of Osceola, while waving a flag of truce, did the Indian resistance decline. With peace, most seminoles have agreed to emigrate. 315 Creek fought alongside the American army during this war. The Third Seminole War (1855-1858) is the result of renewed efforts to recover the remaining Seminole residue in Florida. It caused little slaughter and in the end, the United States paid the most resistant band to go west. It was during the first Seminole war that the first Native American General Officer appeared in the United States Army. William McIntosh or Tustunnuggee Hutke (1775 - 30 April 1825) is a politician, diplomat, merchant and military leader of the creek people. 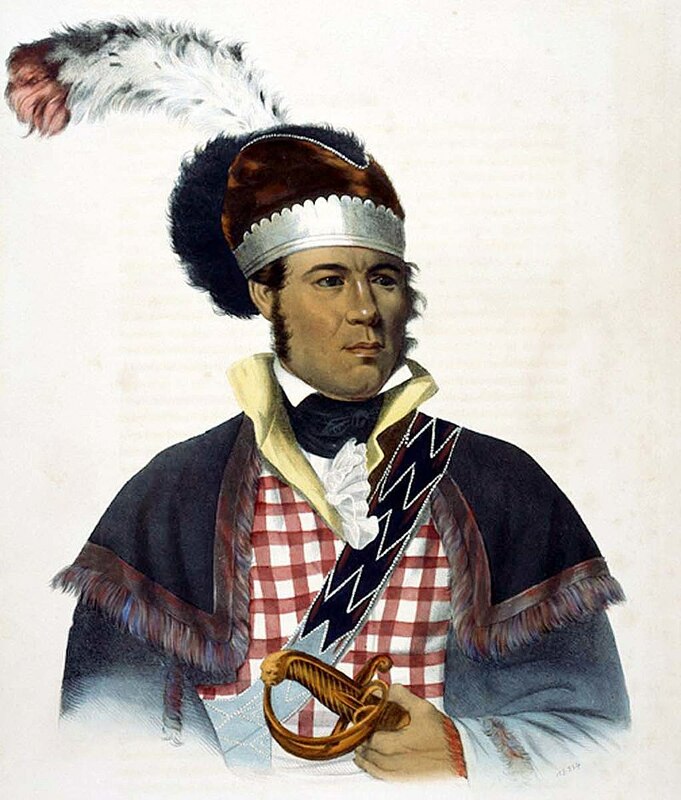 Born from a mother creek and an American father of Scottish origin, Tustunnuggee Hutke (ie the White Warrior) was born in present-day Alabama in 1775. He reached the rank of Brigadier-General in the US Army. He was also at the head of a cotton plantation where lived forty slaves. He was assassinated by the Creeks of the High Cities (Red Sticks ie Red Sticks) which reproach him notably its role in the ratification and in the application of the Treaty of Indian Springs of 1821 then that of 1825. It was during one of his wars that Major David Moniac was killed at the Battle of Wahoo Swamp in 1836. Moniac is considered by many to be the first Native Americans to graduate from the United States Military Academy at West Point. Although some other cadets can claim this distinction due to mixed ancestry, Moniac is the first cadet identified as such in the Academy's surviving records. Ironically, even though he was married to a cousin of seminole ruler Osceola, Moniac agreed to join the fight against his seminole parents and in August 1836 was promoted to captain in the Mounted Creek Volunteers. 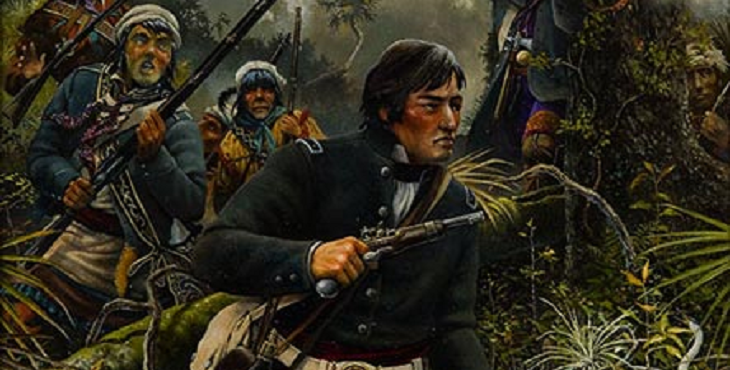 After conducting an attack on a Seminole camp near Tampa, Florida, in October 1836, Moniac was promoted to Major, but his fledgling military career ended abruptly a month later. Moniac, who was part of a combined force of Creek Volunteers, Tennesse Volunteers and the Florida Militia, attacked a group of Seminoles hiding in a cypress swamp behind a stream connecting two lakes. When the Creeks riders hesitated, fearing that the narrow stream was too deep to cross, Moniac raised his sword and rushed. The Seminoles, hidden, riddled him with many bullets. A witness to his death later wrote: "Major Moniac, an educated Creek warrior, trying to cross the creek, fell and the Seminoles were exalted."